As mentioned last week, I wanted to do a few comparisons between products from two different make-up companies. I went to the city, had a latte in town, came home and had dinner around 9 p.m..
Before I get down to the result of this “Ruby Woo” day, let me tell you that this lipstick has been my holy grail for years. I have never, ever seen a lipstick more beautiful than this one before. It is perfect for my skintone and sometimes, especially on my lazy days, I literally just do my eyebrows, mascara and put on some of this and voila’! Sorry for the huge difference in lights, but obviously the very 1st picture was taken with natural light and the two pictures above with artificial light. In none of the pictures I used flash. Ruby Woo is a beautiful blue-toned red with a matte finish. 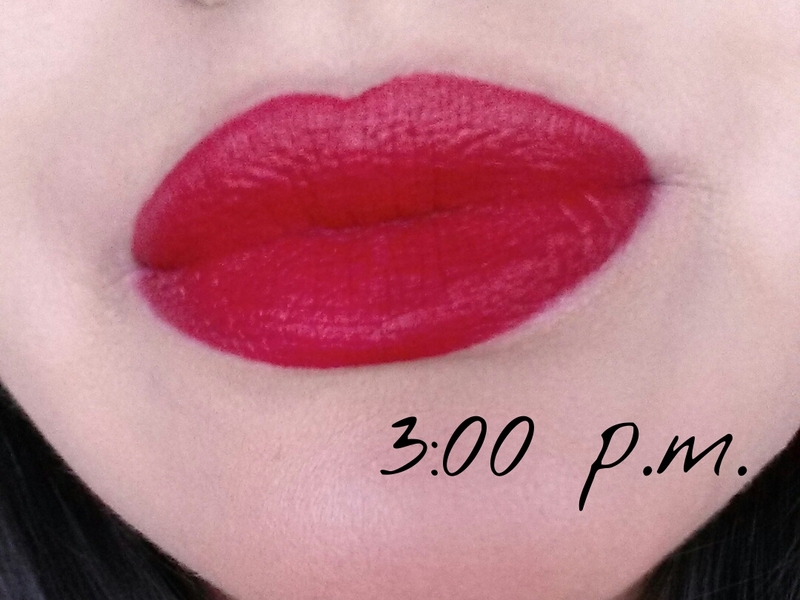 It is definitely the most longlasting lipstick I have ever owner, however if you do decide to purchase it you have to know that it tends to try up your lips quite a bit. First off, massage your lips with the lipscrub for about 5 minutes. This will help scrubbing off the dead skin (yeah I know it sounds gross) and make your lips smooth – plus this one from Lush tastes like mint chocolate! Definitely a keeper! Then, I apply the lip balm and do the my make-up while it sents into the skin. 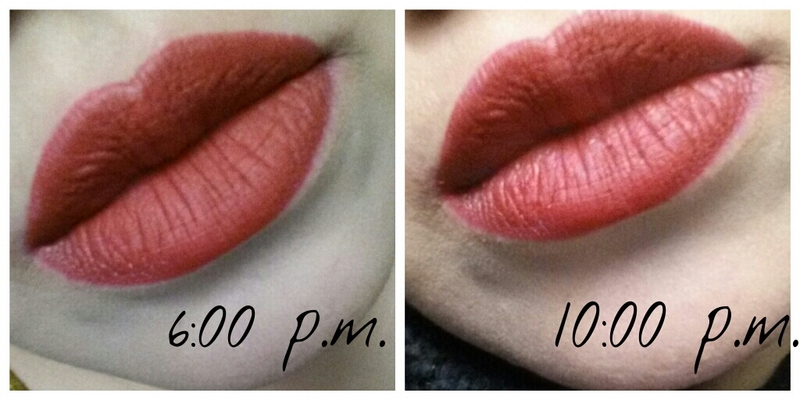 It is now half past midnight and Ruby Woo still looks great! The color intensity did change during the day, however considering I had a latte and dinner it is not bad at all. It does take really greasy food for this lipstick to go away and that is a plus. Overall I love the longevity of this product and would definitely recommend it to those who are already familiar with reds and want to own this classic lipstick. If you want to keep the same intensity throughout the day I think re-application can be done after 5-6 hours or more. I wear Ruby Woo in the office and I never have to re-apply it, not even after long days (9-10 hours). At least on my lips, because they tend to get dry quite fast and especially in the outer corners, this is the area where most of the time the product fades away (even if on the rest of my lips it is still showing in full effect). Tomorrow I will do the same with Dragon Girl by NARS and will announce the “winner”. I hope you liked this post…see you soon!